The Serapeum was built during the reign of Ptolemy III Euergetes (246–221 BCE), on a hill to the west of the city just outside the ancient Ptolemaic city boundary, in what is today Kom El Shogafa district. It was dedicated to Serapis: a syncretic deity created by the Ptolemies, with traits of the Egyptian gods Osiris and Apis, and a physical appearance similar to the Greek god Zeus. Appealing to both Egyptians and Greeks, Serapis became one of the most important Alexandrian cults. According to ancient accounts the Serapeum was the most magnificent temple of Alexandria and the temple complex also included shrines to Harpocrates and Isis, who with Serapis, formed the Alexandrian Trinity. 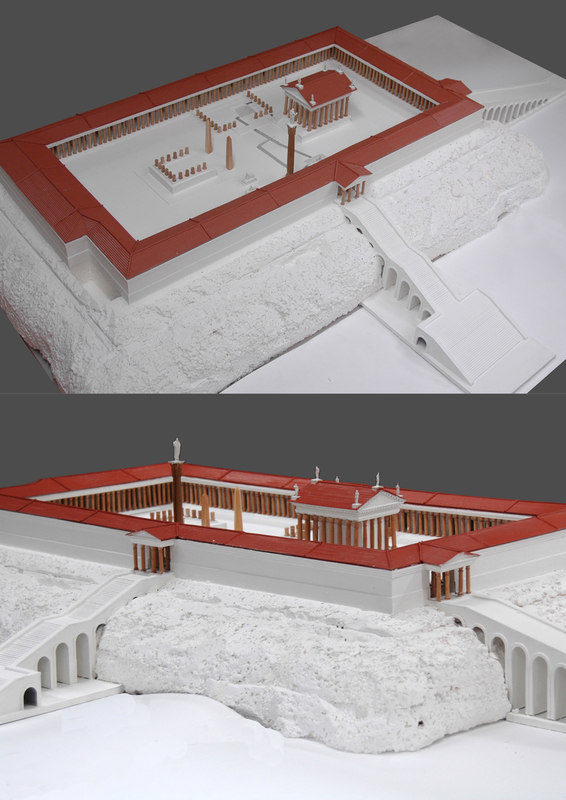 In the late first century CE, the Serapeum was largely destroyed by fire, and during the Roman era a larger temple was built on the same site. 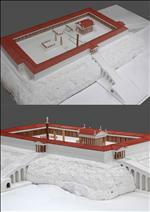 The Alex Med scale model is a reconstruction of the Serapeum built under the Romans. Archeological evidence shows that it had a large colonnaded courtyard, and in 289 CE, Diocletian's column was erected within this courtyard to commemorate Diocletian’s victory over an Egyptian rebellion. Other features included underground passages and a sister library to the Library of Alexandria. In 391 CE, the Serapeum was destroyed two years after Emperor Theodosius had ordered the closure of all pagan temples throughout the Roman Empire. Today, the only element which remains standing intact is Diocletian’s column, erroneously referred to as Pompey's Pillar.